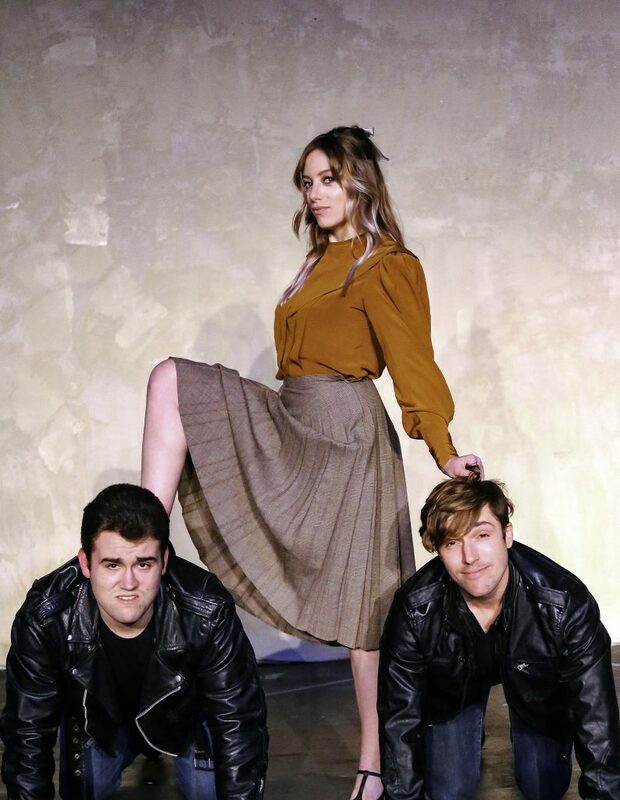 You would think that a play opening with a coffin and a body would be sad, but instead, “Loot” at Novato Theater Company turns out to be a bizarre and funny roller-coaster ride. “Loot” begins with Mrs. McLeavy in her coffin. Her son Hal (James Gregory) and his friend, the undertaker Dennis (Peter Malmquist) hilariously juggle her body out of the coffin, as they conspire to stash their stolen money, their “loot,” in the coffin. Why this outrageous scenario? Maybe because playwright Joe Orton was sent to prison for stealing and defacing library books as a teen-ager. He served a six-month sentence, and emerged saying that prison “affected my attitude towards society. … Before, I had been vaguely conscious of something rotten somewhere, prison crystallized this.” So, it’s no wonder that Orton’s play overflows with his disdain and irreverence for ‘60s British rules and norms. Director Trevor Scott Floyd transmits his admiration for Orton’s verve and rebellion. Floyd’s strong six-member ensemble delivers fast-paced dialogue with hardly a breath between lines. Although the rapid-fire British accents make it tricky to follow, we can always follow the provocative story. Trench-coated Inspector Truscott (impressive Johnny DeBernard) seems to know all the answers and has good intentions—until he doesn’t. DeBernard delivers his many lines clearly and effectively, with great authority. Nurse and femme fatale Fay, caretaker of the deceased Mrs. McLeavy, has already killed off seven of her husbands. Haley Bertelsen plays Fay, the conniving gold digger, to a tee. As Mr. McLeavy, Keith Jefferds demonstrates a wide range of emotions–from sad to elated, and surprised to indignant. As the grieving husband, Jefferds is well cast and always delivers. The one distraction, a bandage covering his head in the second act, keeps us from seeing his eyes. Costume designer Noelle Clary adds the dimension of British Punk. Hal wears a grungy T-shirt and black denim, while undertaker Dennis’ garb is covered with safety pins and metal–all apt for these two punks. Some of the funniest moments come during the few times when there is no dialogue. When Mrs. McLeavy’s body is moved and contorted, it’s priceless. And when Truscott asks Dennis for a screwdriver, their expressions and timing create a laugh-out-loud moment. 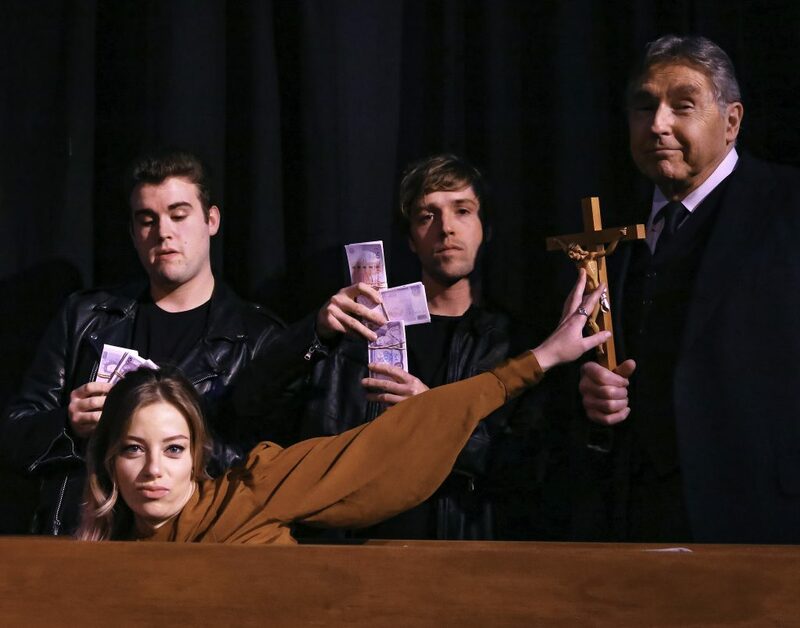 Although it’s been over fifty years since the first production of “Loot” in 1965, Orton’s overarching themes still ring true, especially his attacks on the hypocrisies of the Church and the Police. 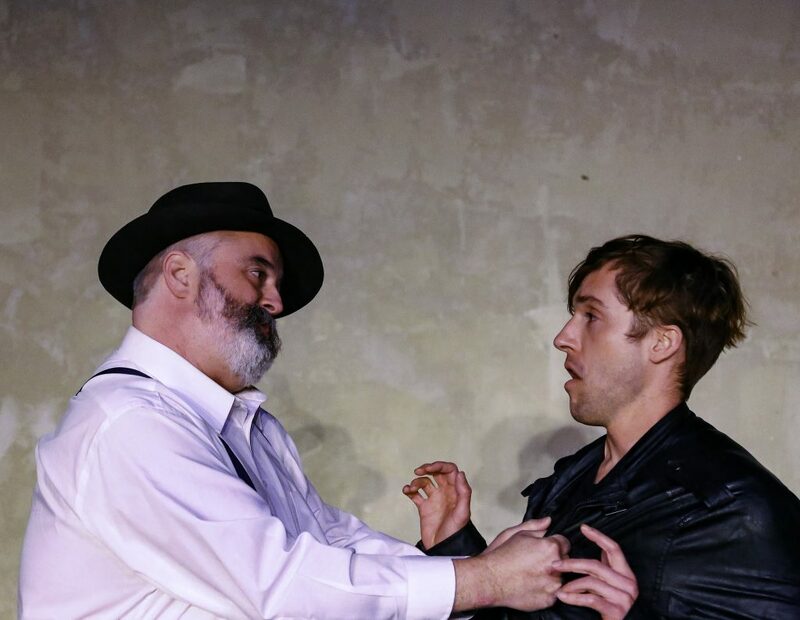 But even if you do not dig any deeper, you will still find humor in the lines and the plot of “Loot.” Don’t miss this fast-paced performance with its terrific cast. Cast: Keith Jefferds, Haley Bertelsen, James Gregory, Peter Malmquist, Johnny DeBernard, and John Griffin.